The new Volvo S60 and V60 Cross Country models will be priced from £30,195 and are available to order now, the Swedish company has announced. Production begins in May, so order one now and you can expect to have it by June. That means the Cross Country models get 65mm extra ground clearance compared to the standard cars, while visual addenda includes front and rear skid plates, bumper extenders and side scuff plates. The door mirrors are gloss black, and the alloy wheels designs are unique to Cross Country trim too. That £30,000 starting price will buy a V60 D3 Cross Country SE estate in front-wheel drive, meaning a 150PS five-cylinder diesel engine and a premium over a standard V60 SE of just over £1000. The most expensive V60 Cross Country is a D4 (190PS) Geartronic Cross Country Lux Nav, which is all-wheel drive and automatic. That costs £38,025. 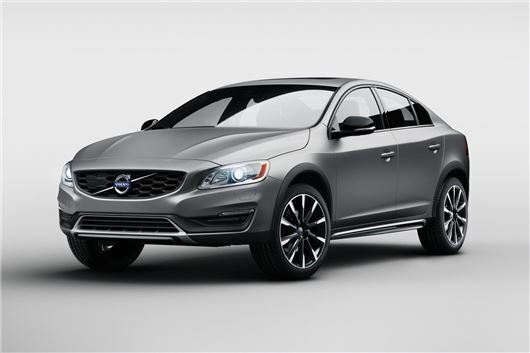 For the S60 Cross Country the choice is two-fold, comprising Lux Nav spec with a D4 engine in front-wheel drive (£33,695) and the same engine and specification but with Geartronic automatic transmission and all-wheel drive, for £36,725.